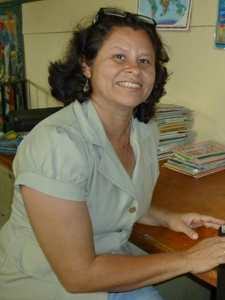 Urania has been serving and supporting education in her country for the past 29 years. She has had the opportunity to serve as a teacher in many different positions and capacities, including preschool, primary, adult and special education. Urania has also worked in several different management positions. 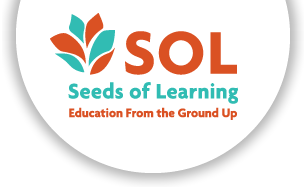 Urania became involved with SOL in 1996 as a volunteer in support of the “Sala Infantil” (Children’s Room) and Learning Resource Center in Ciudad Darío. She was later hired by SOL as the coordinator of the Sister School Program. Through her involvement with this program, she came to realize that there were not only great material needs in rural areas of Nicaragua, but also a great need for building capacities and training teachers. This has motivated her to coordinate SOL educational programs that benefit both students and teachers in the municipality of Ciudad Darío.